There's nothing more welcoming than the green of spring. 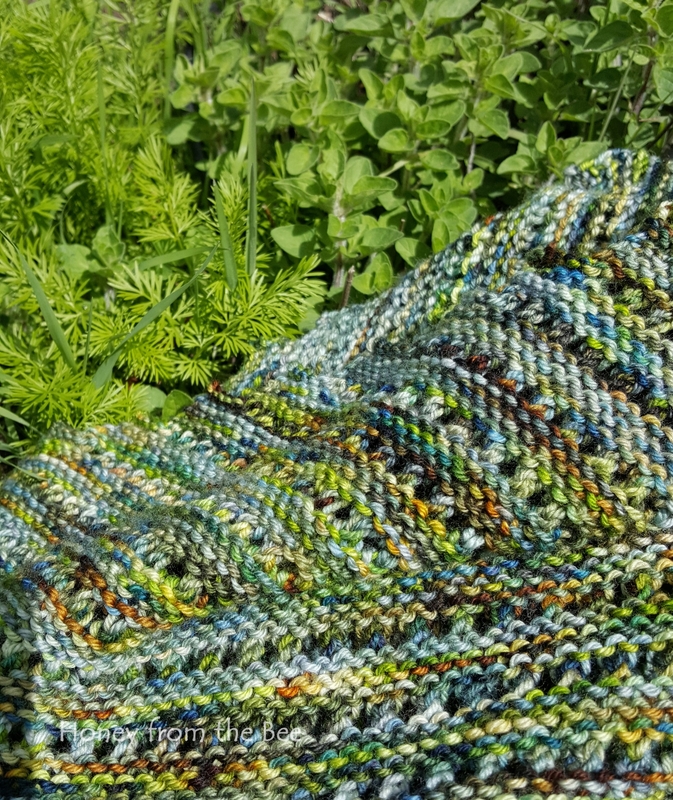 This shawl seems to have all the greens of spring as well as pale blue water running through it. I adore it! 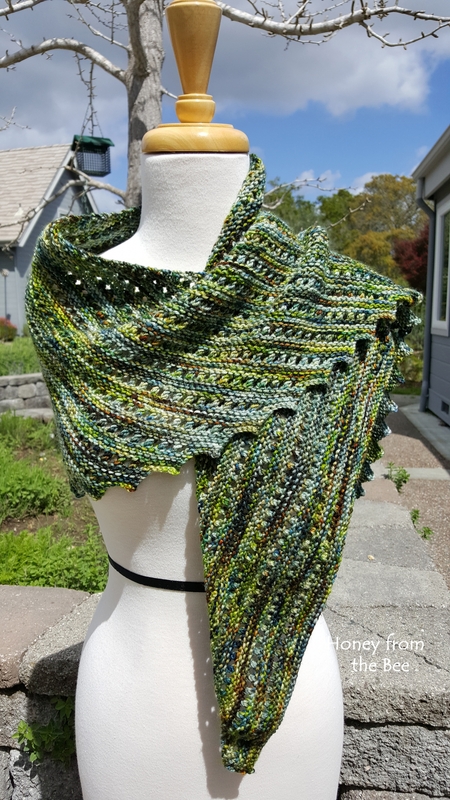 Whether you wear this as a comfy large scarf or a shawl, you might feel more in touch with the mysteries of nature wearing it. Things seem to be all shades of grey in the winter and then one day all you see are the welcome sight of greens! Light worsted weight wool - so more substantial then laceweight wool. 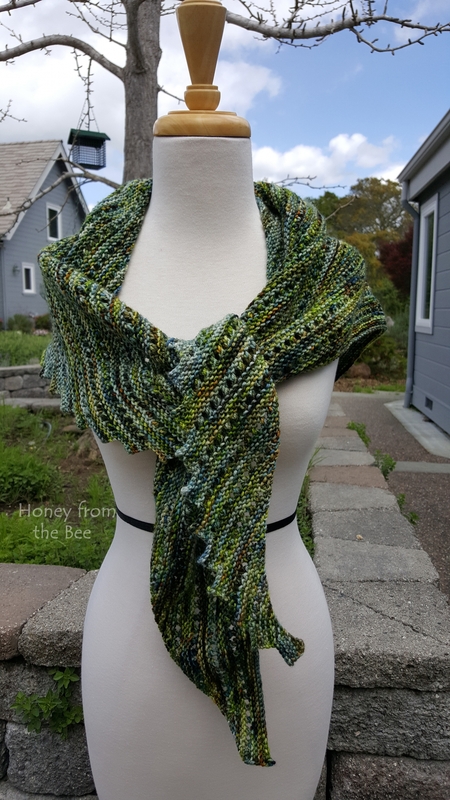 Made from Superwash Merino Wool in gorgeous greens and blues. PS. In the first photo I'm showing an enameled shawl pin by Gita Marie worn with the shawl. I bought this one a couple years ago not knowing what I'd end up using it with. 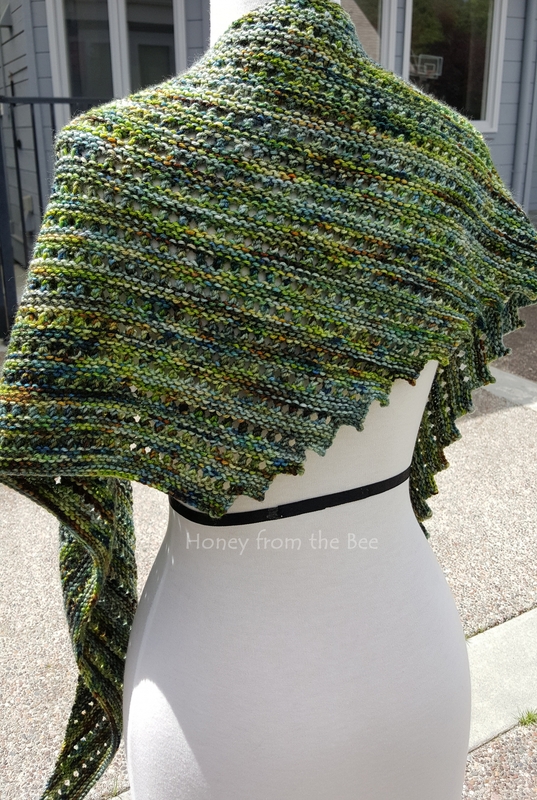 I think it goes perfect with this shawl, so if interested you may purchase it at my cost of $34. Please just let me know if you would like it and I'll invoice you either separately or change the price of this item to reflect the additional cost. 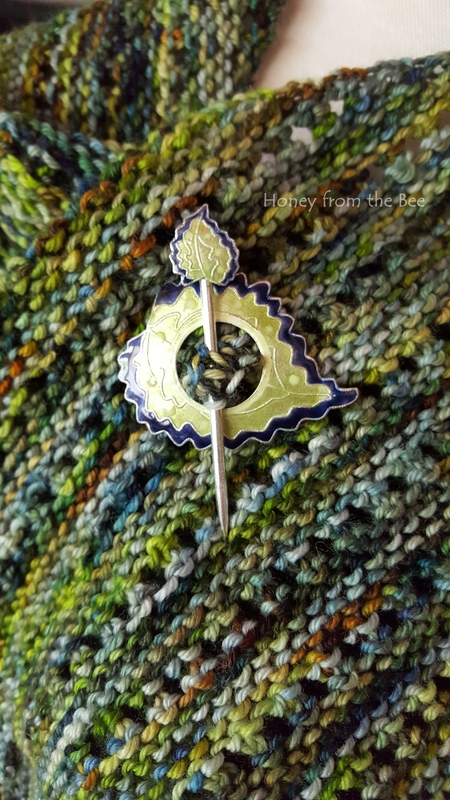 The shawl and the pin would make a wonderful gift for someone special.